How could the statement "I feel you don't understand...." be restated? I think this statement is often used to express a thought and results in blame and defensiveness on the receivers part because it's saying the other person is wrong for not understanding. I think there's still a risk that the other person could take that statement as a comment about them, even if the 'you' part of the statement has been removed. And to ask them if there's a way to explain something they don't seem to have understood may be a difficult task. I would always want to try to 'own' my part in the interaction and also try to involve them in the creation of the shared understanding even if that is to start by acknowledging that we both see things differently. So for example. "Perhaps I haven't explained my perspective very well here. I'd like to try to understand your view of this so that I can see if there's a different way I can explain my perspective that makes sense from your point of view. How do you see this situation?" This could be turned so the 'you' doesn't negate the 'i' by stating; 'I feel I have not been understood. Is there a way I could explain/describe/illustrateordemonstrate my issue with this situation or my pespective more effectively? I prefer your first statement ....'how does that feel? '......to '.....do you feel sad/hurt/angry?' as the latter includes your own suggestions for how they feel while the first statement allows the person to create their own 'label' for their feeling and so are speaking for themselves rather than constrained to the options proposed for them. I do think it is important to distinguish between thoughts and feelings. But probably most important that we can do so for ourselves rather than to educate others (unless they express an interest.) 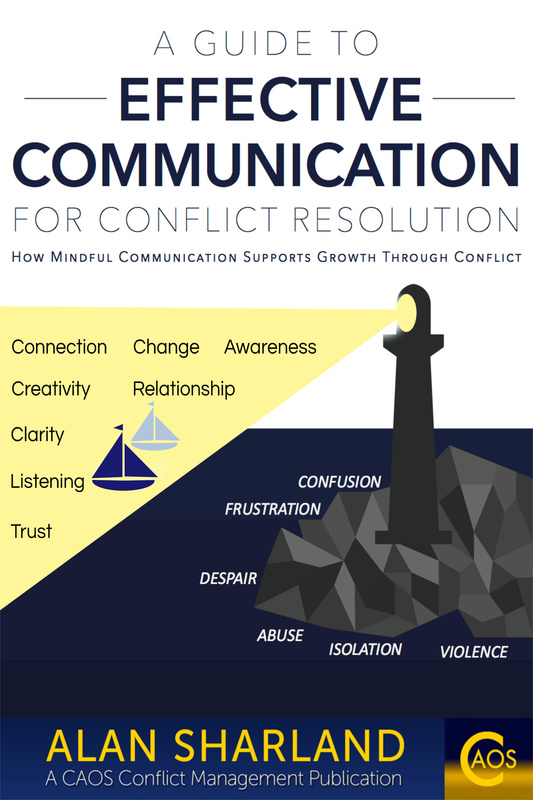 An excellent book to help with this is "Nonviolent Communication: A Language of Life" by Marshall Rosenberg. I tend to translate for myself when someone confuses thoughts and feelings. In my reflection of another's statement "I feel that person was rude to me". I might say "When you think someone is being rude to you how does that feel"? Or better yet "When you think someone is being rude to you do you feel (make a guess) sad, hurt, angry"? You're right in that it could be interpreted that way but strictly the person is still simply stating and 'owning' their view - that something in what the other person is saying or doing suggests to them that they don't understand. A question such as 'Why do you feel that way?' or 'What leads you to say that?' to the person saying it allows for the possibility of the discussion 'opening up' to find out a bit more detail about the reasons for them saying it and for seeing it that way. It would certainly be better to state it that way than the more abrupt statement 'You don't understand' as that would be speaking for the person rather than speaking from their own perspective and suggests it's a 'fact' that they don't understand rather than just an opinion based on their experience so far. I think the latter 'you' statement would be even more likely to lead to a sense of blame and defensiveness and, because it's stated as a 'fact' suggests there is little hope for continuation. No response is 'perfect' as it will always depend on how it is received, but the risks of a you statement given as a 'fact' will be fewer than those that come with an 'i-statement' that acknowledges it is just a view point and is subjective rather than an objective reality. One shuts the door on further discussion, one keeps it ajar at least.